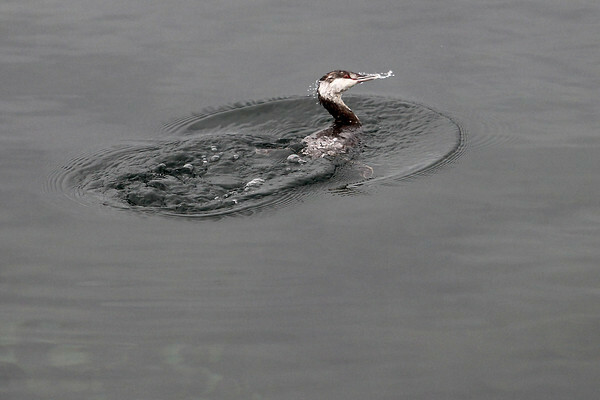 A horned grebe dives for lunch in the Clinch Park Marina. According to the National Audubon Society, the small member of the grebes family migrate almost entirely at night, and rarely fly once on their wintering grounds, which includes the northern Great Lakes. The horned grebe dives to feed on small fish and swallows its own feathers, which help keep fish bones from getting into their intestines.